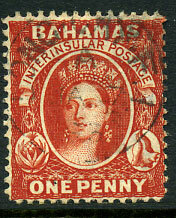 on 1863 QV 1d vermilion INVERTED & REVERSED Crown CC wmk (SG.25y, Cat.£100), thin at top and some short base perfs. 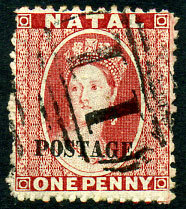 (T.G) on 1862 QV 1d rose-red Star wmk (SG.15, Cat.£65). 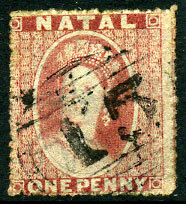 (Type G) on QV 1d (SG.60). 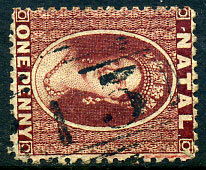 (Type H) on QV 1d (SG.60), perf. faults. 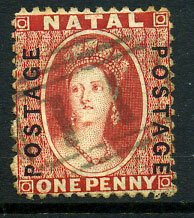 (Type I) on 1875 QV 1d rose Crown CC P.12½ with POSTAGE 11mm long (SG.76, Cat.£65). 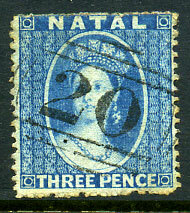 (Type I) on QV 3d bright blue CC wmk (SG.61). 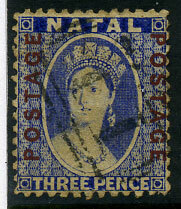 (Type G) on 1863 QV 1d rose CC REVERSED wmk (SG.21x, Cat.£38). 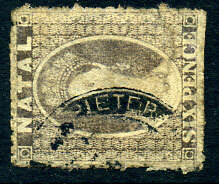 (Type G) on 1862 Chalon 1d small star (SG.15, Cat.£65). 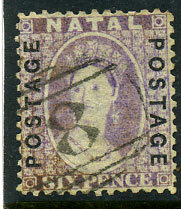 (Type H) on 1872 QV 3d CC wmk (SG.61), purple facial marks. 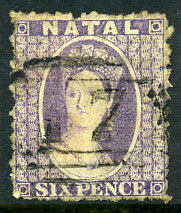 (Type G) on 1863 QV 6d violet CC wmk (SG.24), rounded top left corner perf. 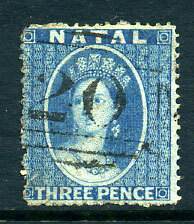 (Type G) on 1859-60 QV 3d blue no wmk clean P.14 (SG.10, Cat.£50). 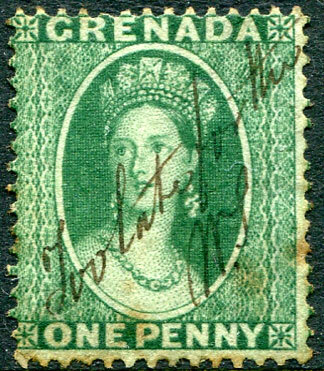 (Type G) on SG unlisted INVERTED CROWN CC wmk (SG.60y), showing inverted crown at top of reverse and part "O" marginal wmk at base. 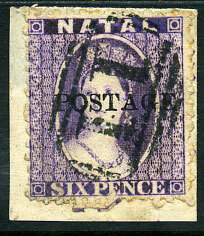 (Type G) on 1862 QV 6d grey (SG.13, Cat.£65). 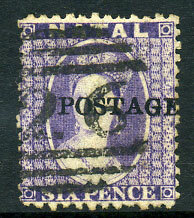 (Type G) on 1863 QV 6d violet REVERSED CC wmk (SG.24x, Cat.£32), slightly trimmed perfs. top right. 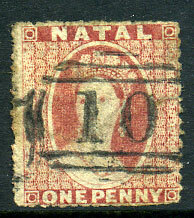 on QV ½d on 1d yellow (SG.91). (U.5) on QV 3d blue No wmk (SG.3). 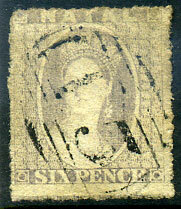 previously unrecorded negative brass mailbag seal on 1862 QV 6d grey (SG.13, Cat.£65). (T.1) dated A/MY 5 without year on REVERSED CC wmk P.14 QV 1d Chalon (SG.33x). 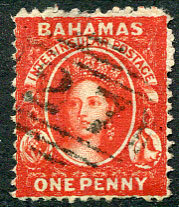 (T.1) A/JA 7 93 on QV 1d REVERSED CC wmk (SG.34x), rare on this. (T.G) on REVERSED CC wmk QV 1d (SG.60x). (T.H) on QV 6d (SG.83). (T.G) on QV 1d (SG.15). (T.G) on vertical pair QV 1d (SG.60). 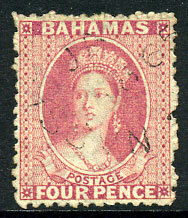 (D3) broken dbl-arc dated JA -- 1865 on QV 4d Chalon (SG.27).